Am discovering just how nice it is to be able to do this. The despicably talented Jon Sullivan’s cover for the anthology that contains one of my stories went live today. And oh, it’s pretty. Kairos Fateweaver doesn't react well to the clingfilm-on-loo-bowl prank. 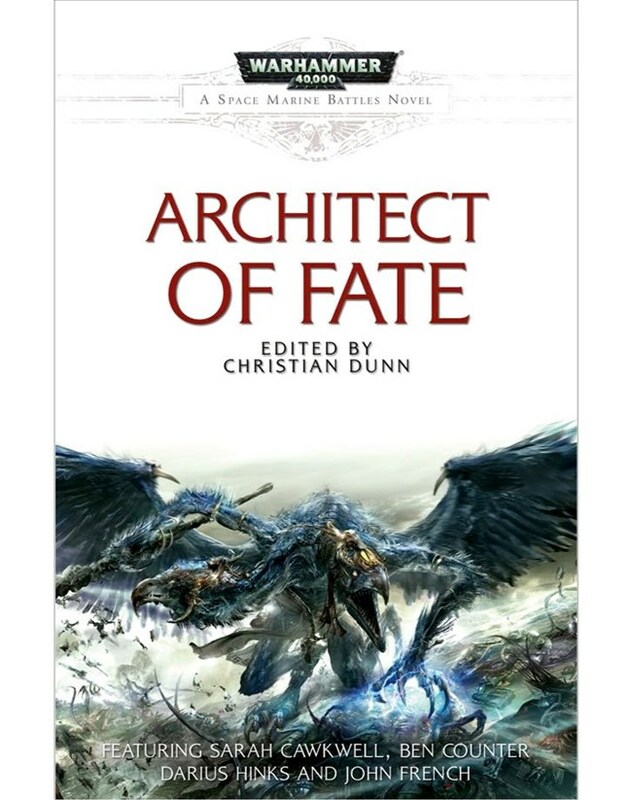 This anthology comes out in May 2012 and features four novella-length stories, including my Accursed Eternity story (featuring the Blood Swords and Star Dragons). This entry was posted in General, Writing and tagged Accursed Eternity, Architect of Fate, Black Library, W40K. Beautiful cover, Sarah – in a horrific, you’re about to get turned into Chaos spawn, way. This is, of course, the best way. In the full piece I noticed space marines getting warped – are they the chapters that feature in the novellas? Ol’ Kairos Fateweaver is a bit lush, eh?